Find Austell, GA Homes for sale. View Photos, Maps and MLS Data Now! Newer Mechanicals Including Hot Water Heater And Heating/Cooling. MLS#8568932. Atlanta Real Estate Specialty. Zoned General Commercial. Sold As Is No Disclosure. MLS#8568456. Real Living Georgia Life Rlty. Zoned General Commercial. Sold As Is No Disclosure. MLS#8568449. Real Living Georgia Life Rlty. Cash, Conventional Financing Only. Community Is Not Fha Approved. MLS#6538389. Exit Realty Quality Solutions, Llc. 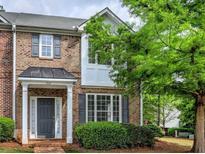 Home Is Accessible And Close To Shopping, Dinning And The Braves Stadium. MLS#6538402. Palmerhouse Properties. Wintercrest - Come And See Today. Affordably Priced At 157,500. 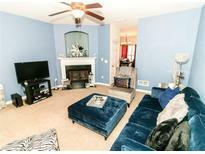 MLS#6537368. Keller Williams Realty Atl North. Silver Creek - The Second Floor Includes, Secondary Bedrooms And Large Master Suite With Gorgeous Master Bath Including Double Vanity, Separate Tub And Shower. MLS#6534073. Keller Williams Buckhead. Stock Photos, Actual Finishes May Vary. MLS#6532984. Silverstone Realty, Llc. Don'T Walk, Run! This Home Won'T Last Long! MLS#6532206. Keller Williams Atlanta Classic. Creekside At Wade Farm - Bring In All Offers! Agent Is Wife Of Owner. MLS#8558486. Precise Management Group Llc. When You Purchase This Home, You Invest In Your Future Through Real Estate! MLS#6531277. Keller Williams Realty Metro Atl. All Information Is Believe To Be True Must Be Verify By Buyers Agent Or Buyer. MLS#8554721. Prime Realty Partners, Inc..
No Hoa. 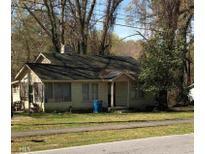 5 Minutes From I-20 MLS#6527958. The Progressive Group. 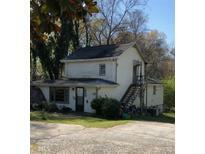 Great For Growing Family Or For Roommates MLS#6527554. Coldwell Banker Residential Brokerage. 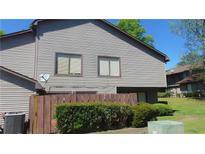 Current Rent Is $700 Mkt Rate Rent Is $900 Lease Is M To M MLS#8551370. Keller Williams Realty. Wintercrest - This One Will Not Last! As Is MLS#8550864. Inspirational Homes Llc. Perfect Home For A First Time Homebuyer Or A Savvy Investor. MLS#6522776. Maximum One Greater Atlanta Realtors. Don'T Miss This Great Opportunity. Under Construction. April Move-In. MLS#6522589. Engel & Volkers Buckhead Atlanta. 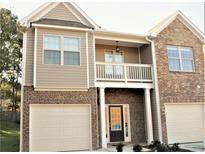 Current Rent Is $700 Mkt Rate Rent Is $800 Lease Is / Or Expires MLS#8541886. Keller Williams Realty. 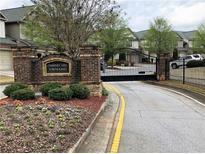 Wintercrest - Close To Shopping, Dining, Silver Comet Trail, And Suntrust Park! MLS#6515518. Sharkey Real Estate, Llc.. The Home Has New Paint, New Hvac, New Flooring Throughout And New Appliances. MLS#8536058. Listwithfreedom.Com Inc.
Walkable To Downtown Austell For Dining, And Antique Shopping. New Farmers Market Coming Soon. MLS#8536017. Real Estate Gurus Realty. Open Floor Plan With A Fireplace In The Family Room. This Is A Must See! MLS#6510738. Transitions. Under Construction. End Of May Move-In. MLS#6509799. Engel & Volkers Buckhead Atlanta. Don'T Miss This Great Opportunity. Under Construction. June Move-In. MLS#6509829. Engel & Volkers Buckhead Atlanta.